Family Weekend and the Aggie Mom Boutique will be held April 12-14, 2019. Thanks to everyone who worked our booth at Family Weekend 2018!!! In the early 1900s when membership in the Corps of Cadets was mandatory, mothers often found themselves worrying about the welfare of their sons. 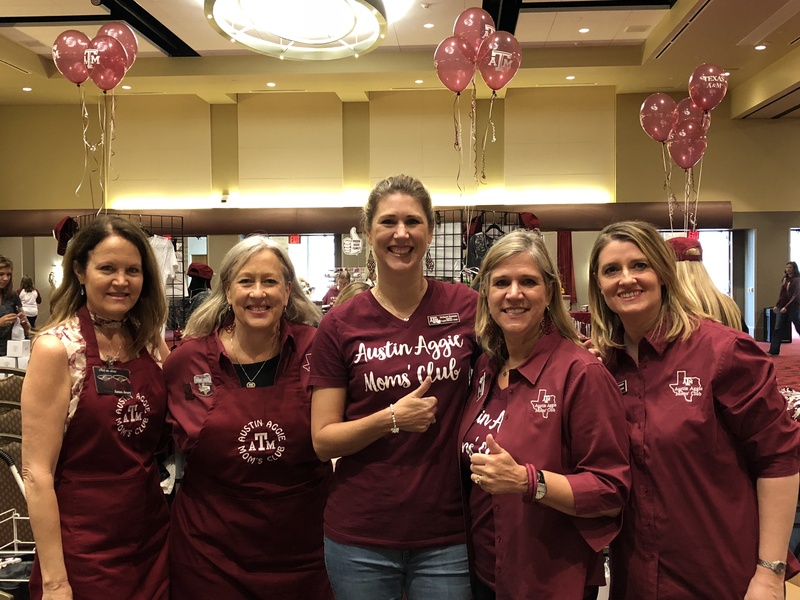 A federation known as the Aggie Mother’s Club was formed by these mothers whose main goal was to help their sons through their difficult “fish” and underclassman years. A program similar to open house was held on Mother’s Day. However, in 1969 graduation was changed to early May and the program was moved to April. This cherished A&M tradition has been previously designated Mother’s Day, Mother and Dad’s Day, Parent Appreciation, Open House, and Parents’ Weekend. Presently, it is called Family Weekend. We were able to award our JJ Sanchez scholarship!